Is anyone in Philadelphia this weekend? I’ll be there on the weekend to see the Darwiniana exhibit at the American Philosophical Society’s museum. The exhibit is going on until October 17. 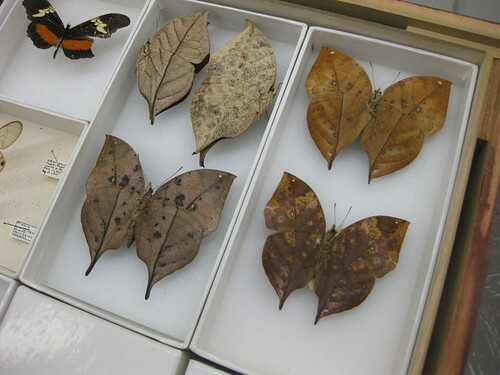 Loren Eiseley used their collection when he was writing Darwin’s Century, and he called it magnificent. Knit up a storm—crochet a coral reef! The Smithsonian Institution has a community project planned for this summer, to have people crochet a coral reef. If you can crochet, they have the instructions for “hyperbolic crochet” to make life-like forms. 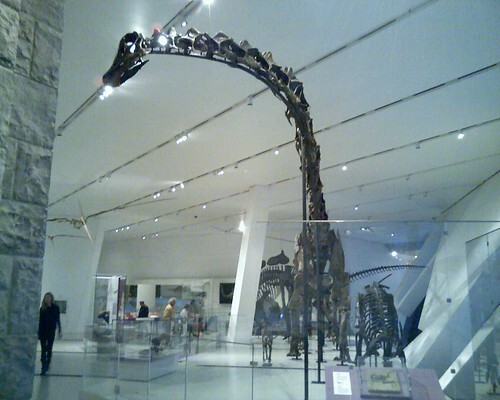 2008-01-16_ROM-Barosaurus-from-front, originally uploaded by monado. At long last, I’ve posted to flickr my images of the Royal Ontario Museum’s new dinosaur gallery, with several shots of their new exhibit, the Barosaurus. NGSM-frogs-Amazon-milk-frog-7, originally uploaded by monado. One of the highlights of our trip to the U.S. last year. aside from visiting the science-blogging conference, was a trip to see the exhibits at the National Geographic Society museum in Washington, D.C. Our goal was their new Nigersaurus taqueti skeleton. It was an extra treat to find a whole exhibit of exotic frogs, including many terrariums holding live specimens. 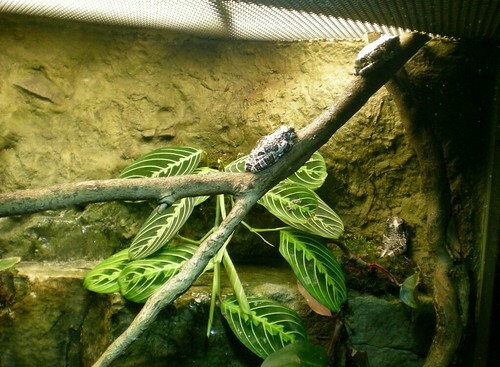 This one is the Amazon milk frog. This one has a strategy for raising its young that illustrates that evolution preserves what works, not what we find fair. The frogs must lay their eggs in water. So the males stake out a tree with a water-filled hollow. They call and invite a female to come and lay her eggs. The male fertilizes the eggs by spreading his sperm-laden “milt” on top and they start to develop into tadpoles. The male watches over the eggs and calls another female. She, too, comes and lays her eggs. But this time the male doesn’t fertilize them. When the first eggs hatch, the young tadpoles eat the second batch of eggs. So a female that accepts a mate has only a 50% chance of having her eggs brooded to hatch. 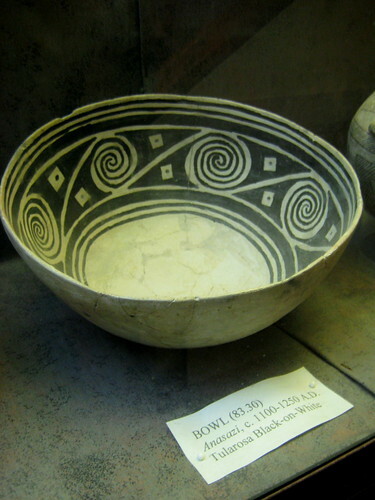 Anasazi Bowl c.1100-1250 A.D., originally uploaded by mindtalk. You are looking at an Anasazi Bowl from around 1100-1250 CE. So it was made several hundred years ago. But it looks both modern and sophisticated. The pattern uses repetitive elements and gently teases the eyes to rove over it. 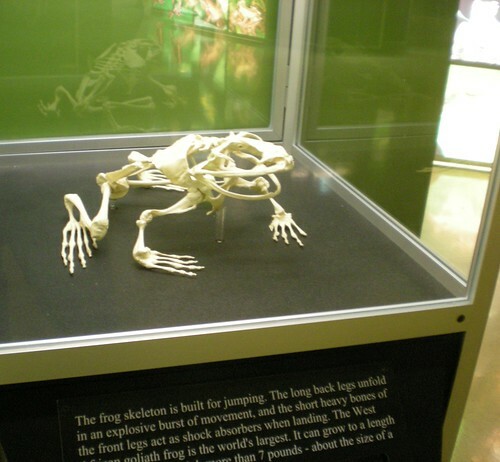 It’s in the Mitchell Museum of the American Indian at Evanston, Illinois, U.S.
NGSM-frogs-Goliath-skeleton2, originally uploaded by monado. The Goliath frog is the largest frog in the world. It’s from West Africa. I photographed this skeleton at the National Geographic Museum in Washington, DC.